This is the time of year when people start thinking of New Year’s resolutions. Many people want to start living a healthy lifestyle which includes exercise routine. Treadmills are great ways to head down the road to less weight and also develop a healthier cardiovascular system. Some people, unfortunately, get intimidated by watching serious runners pound out the pace on these machines and hesitate to get started. However, strenuous exercise is not the only way to condition the body. Jogging at a slow rate can provide some very nice benefits. Years of working at a desk take their toll, and a person should go slow and easy at the beginning of an exercise routine. Jogging on a treadmill is better than doing it on concrete because the impact is softer. While it is an exercise, there is less effort than running outside because of the lack of wind resistance or other physical obstacles. 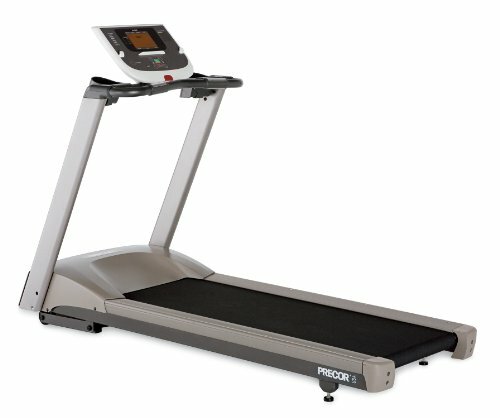 A treadmill jogger is not only able to control the pace; the treadmill console lets the person know how many calories have been burned by the activity. They can be a great motivator for somebody who is just starting to condition the body. Overdoing it at the beginning will destroy a lot of New Year’s resolutions. A beginner on the treadmill can start out with a very easy and natural jogging pace. As the legs and cardiovascular system become better condition, that same person may want to do a little more challenging exercise. That is easy to do on a treadmill. The pace can be increased and the incline can be raised, allowing for even better exercise. A treadmill allows a person to get used to the idea of an exercise routine. Because the beginner can control the rate of exercise, he or she can continue to use a treadmill and what starts out as a New Year’s resolution can easily become a permanent part of a very healthy lifestyle. How To Start – Resolve to be Fit! There are all kinds of New Year’s resolutions, and here is an idea for three stages of treadmill workouts, each being done three times a week, going from beginner to advanced in 12 months.